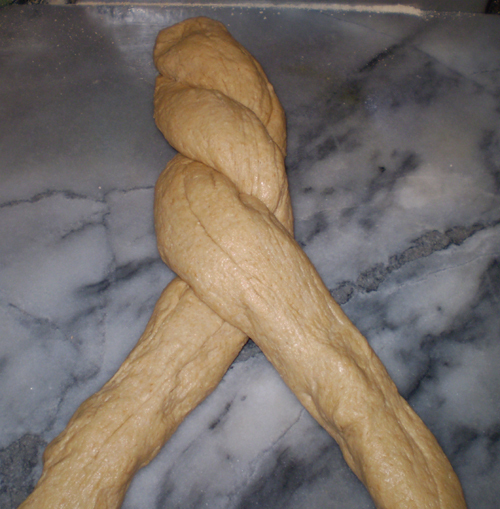 Do you want a new “twist” on shaping your homemade bread in a loaf pan? Try my Twisted Loaf shape. STEP 1: Weigh one loaf’s worth of freshly-made whole grain bread dough. My loaves weigh 1 pound 8 ounces each before baking. 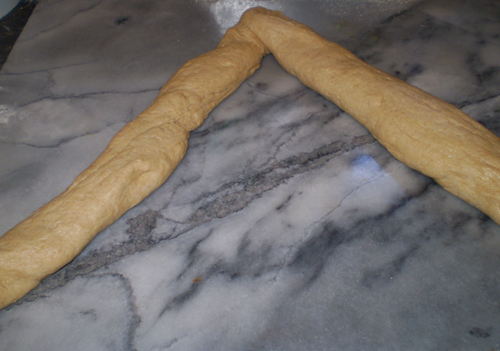 STEP 2: Divide the dough ball into 2 and roll each into a snake shape. STEP:3 Pinch the 2 snake shapes together at the top and twist (over and over) all the way down. Pinch the end. 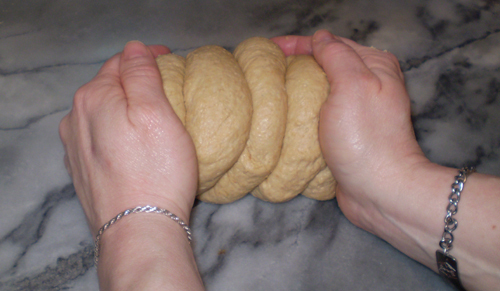 STEP 4: Gently push the loaf together from the ends. 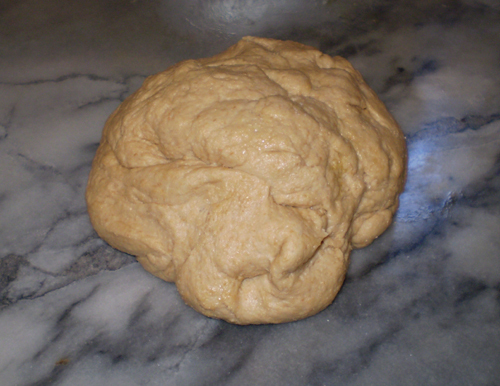 STEP:5 Place the bread dough in a prepared loaf pan. 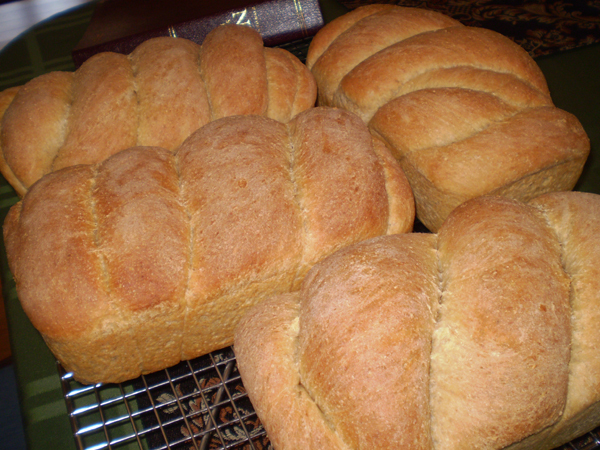 I use oil and lecithin mixture and a stainless steel 8 x 4 inch loaf pan. 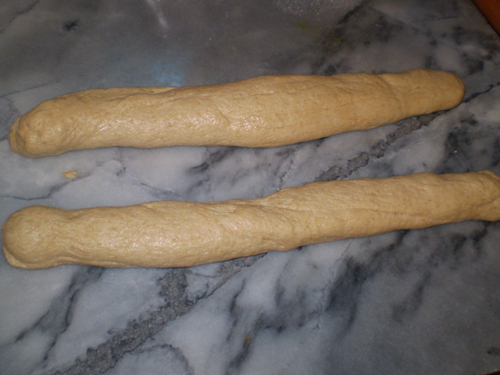 STEP 6: Let loaves rise in a warm place and bake in a preheated 350 degree oven for 30 minutes. 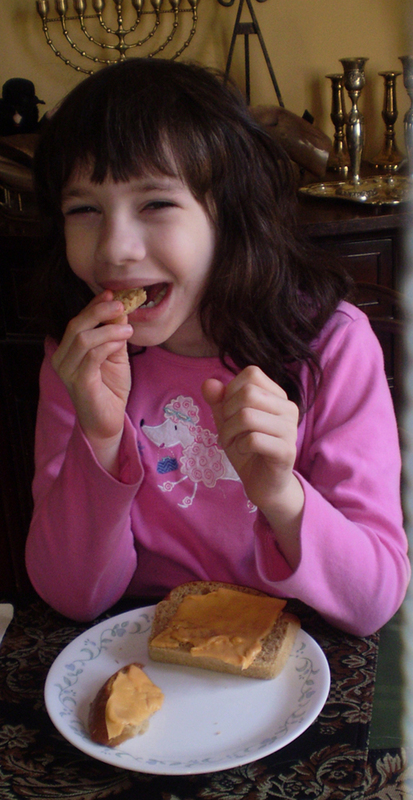 I like to rub the hot crusts with butter. ENJOY!